Not too long ago, counterfeit products were a "privilege" of luxury brands only. The high prices of products from brands like Chanel, Louis Vuitton, Gucci and the like make countefeiting a profitable business in the luxury sector. 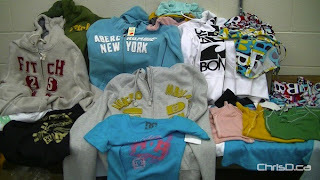 However, lately, mide-price brands like Victoria's Secret, Vans and Dickies are becoming the new target for counterfeiters. 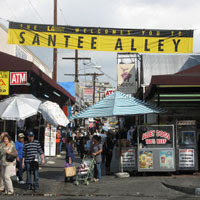 For instance, an original Victoria's Secret underwear that retails for about USD7.50, can be found for USD2.00 on counterfeit markets like Santee Alley in Los Angeles, CA. Prof. Susan Scafidi, academic diretor of the Fashion Law Institute at Fordham's Law School says that the economy is one reason for this new counterfeiting trend. According to Prof. Scafidi "the recession has more people trading down. Even lower-priced brands feel like a stretch in this economy, and people are more likely to trade down to counterfeits." As reported by the Los Angeles Times (Feb., 3, 2012) in the article "Counterfeit Gap Joins Counterfeit Gucci", other factors driving this new trend include the Internet, a changing consumer mind-set and beefed-up anti-counterfeiting efforts by the giant apparel companies. The Internet is a big concern for companies fighting counterfeiting. For Prof. Scafidi, "the Internet has enabled counterfeiters to further elude authorities by cutting out the middlemen and selling directly to shoppers. The most ambitious counterfeiting websites have taken to copying photos and trademarks and registering dozens of domain names similar to the brand's official website. Many shoppers, groomed by deals sites to expect heavy discounts, are duped into thinking they're buying the real deal". Whereas high-end brands can afford to chase down counterfeiters, smaller companies cannot, making them less-risky targets. 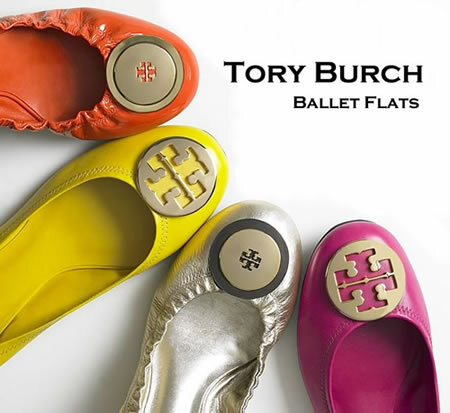 Just last year, fashion label Tory Burch won $164 million in a lawsuit against a group of cyber squatters peddling fake shoes, purses and accessories. Chanel filed suit in September against 399 websites allegedly selling knockoff sunglasses, wallets, jewelry and other goods bearing the luxury retailer's name. Consumers themselves are also another factor that make mid-price brands the new "business-expansion strategy" for counterfeiters. It is easier to go by with a mid-price brand counterfeit product than it is with a luxury brand. An average person is more likely to carry mid-price brands than high-end brands. Thus, more affordable brands don't have a stigma about countefeit where people will be suspicious about fakes, because the original product is not unattainable. No Response to "COUNTERFEITERS NOW TARGETING MID-PRICE BRANDS"